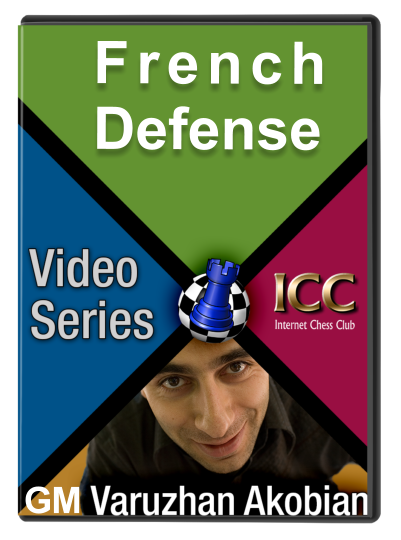 GM Varuzhan Akobian covers 5 main sections in the French Defense. Lately the Advanced line has not been very popular against the French defense, since it leads to close positions where white has a weak pawn on d4 and usually manages to exchange his bad light-square bishop. After the most principled move 6. a3 c4 black has a space on the queen's side and a very easy plan. Also 6.Bd3 and 6.Be2 lines don't offer white any advantage. Unusual lines against the French defense are rare, yet once in a while you can find a top grandmaster who would like to avoid the main theory of French and try 2. Qe2, which was played against me by GM Vitor Laznicka - 2684 FIDE rating - at the recent World Open Tournament 2013! In 2012 the move 2.d3 was uses by none other than number one in the world GM Magnus Carlsen, to win a nice positional game against another top 5 player in the world: GM Fabiano Caruana.